Following the death of Steely Dan co-founder Walter Becker on September 3rd, Donald Fagen wrote in his tribute to Becker that "I intend to keep the music we created together alive as long as I can with the Steely Dan band." 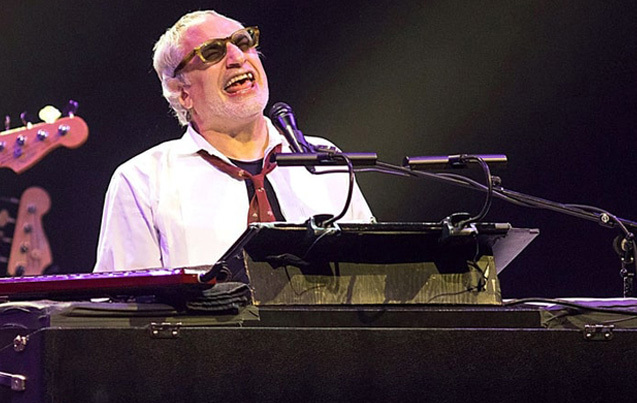 Fagen will make good on that promise as Steely Dan have announced eight North American shows this fall, the band's first tour since Becker's death. The trek begins October 13th in Thackerville, Oklahoma and runs two weeks before concluding October 25th in National Harbor, Maryland, Ultimate Classic Rock reports. Following the North American gigs, Steely Dan will travel to the U.K. for three shows with the Doobie Brothers. The upcoming tour won't be Steely Dan's first performances without Becker: In July, an unspecified health issue forced Becker to miss Steely Dan's Classic East and Classic West concerts, with Fagen performing without his longtime collaborator. Becker last played with Steely Dan on May 27th, 2017.